that strikes my eye. a sense of fever. timber creaking softly. lurks with blunted blade, motes are trembling. dust. measure; this is the bed my mother lay in as a child. 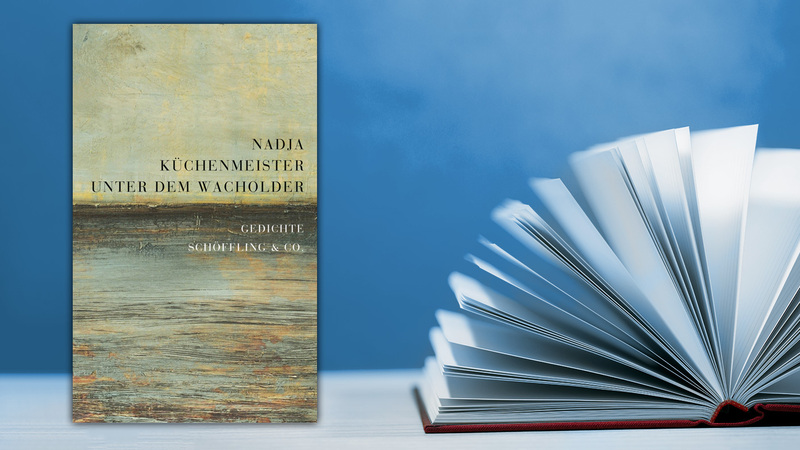 At first glance, Nadja Kuchenmeister's poems seem to follow a template used by many poets today: domestic scenes are described in close detail, implying emotions rather than expressing them directly. But, as her poems continue, the ear picks out intricate patterns of rhyme and assonance, creating a level of formal beauty unusual in verse now. Yet there's nothing self-conscious about them; her poems, however melodic, are rooted in the mundane scenes they spring from. Roman Bucheli, arts editor for the leading Swiss newspaper, has called her "a virtuoso of the unspectacular." Indeed, Kuchenmeister has been widely praised as a refreshing new voice in German-language poetry. Die Zeit named her second collection, Unter dem Wacholder (Under the Juniper Tree) one of the best books of 2014. When the collection won the Bremen Literature Prize, Mareike Bannasch described it as inspired by Rainer Maria Rilke, Tom Waits and the Bible. 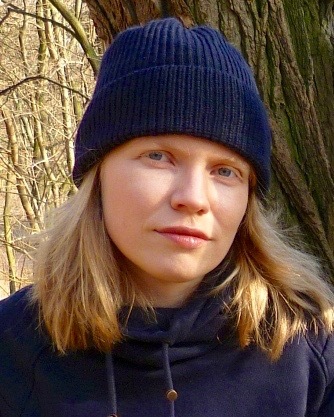 In a 2014 segment on SWR2 Radio, presenter Gabi Schlag said, "Her first book of poems, Alle Lichter (All Lights) [published in 2010], is a reflection of the angry Nadja Kuchenmeister: the undefeated person who asserts the right to create new meanings: her own value system. In Unter dem Wacholder, the melancholy, death-hungry poet is just as unconditional: hard and precise. Her ability to portray the process of remembrance in all its mystery and magic is unbroken." Two excellent and experienced translators, Hans-Christian Oeser and Gabriel Rosenstock, have published English and Gaelic versions of Kuchenmeister's work, which were issued by the Irish publisher Litriocht. To be fully appreciated, however, her poems must be heard in German (see the first link below). Publisher's page for "Unter dem Wacholder"
"A book inspired by Rilke, Tom Waits and the Bible"